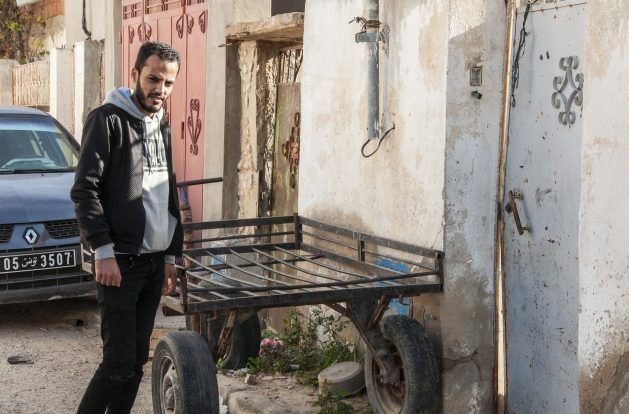 SIDE BOUZID, Tunisia, Dec 17 2018 (IPS) - Eight years have passed since the Arab Spring. 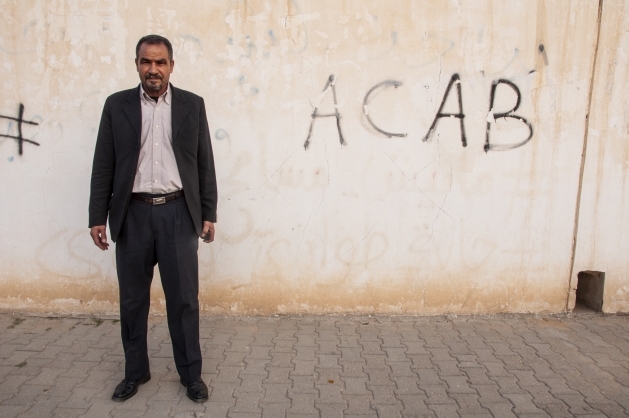 In many countries, the uprising was crushed, but in Tunisia democracy gained a foothold. Arbetet Global travelled to the small country town Side Bouzid to find out why. Through the car window, two boys around the age of 10 can be seen pushing a hen to the ground to cut its throat. It’s dinner time in the small country town of Side Bouzid. An older woman with a broom sweeps the dust from her part of the street in Grawriya, as the neighbourhood is known. This is Issaouis Bilels’ home turf. He is 28 years old and lives with his parents and six siblings. He shows us around the dusty streets of an area that didn’t exist before the country’s dictator was overthrown eight years ago. Most people are married at his age, have had children and formed a family. He scoffs at the thought. Four months ago, he was heading overseas. Like so many others, he planned to board a rubber boat and cross his fingers that he’d survive the voyage to Spain. He was just about to buy a ticket to Morocco, then pay 1,000 euro to human traffickers to get a seat on a boat. He had a plan. A friend already in Spain was working on getting him a job. But suddenly everything changed. His friend got a new job, in Cuba. Issaouis Bilels cancelled his plan. He didn’t want to go because he did not know what would happen. Therefore, he’s biding his time. “I’m afraid to stay here without any future,” he replies. He remembers that day eight years ago when the friend he used to play pool with poured a flammable liquid over himself, lit up and burned to death. Economy: Export-based economy in which the textile industry plays an important role. The tourism industry has also been an important source of income. 80 per cent of exports go to EU countries. Labour market: The official unemployment rate has been around 13-15 per cent for several years, but many in the country are underemployed and must resort to temporary work. Half of the workforce is employed in the retail and service industries, while one third is working in the industrial sector and 15 per cent in agriculture. Unions: The country’s largest trade union UGTT has close to 750,000 members. The union was closely linked to the ruling party RCD during the dictator Ben Ali’s time (1987-2011) but acted independently and initiated demonstrations against the regime. Following the 2011 revolt, two new union federations, UTT and UCGT were launched. Public health: The health situation among the population is said to be among the best in North Africa. Most residents have access to health insurance that entitles them to basic care. At the same time, development and welfare vary greatly within the country. The legal system: From 2014, Tunisia’s new democratic constitution offers strong protection for human rights and guarantees gender equality. The constitution is regarded as liberal and unlike most Arab countries, Islamic law, Sharia, is not the basis for the rule of law. How does a revolution start? There are no simple answers but on Friday, December 17, 2010, vegetable trader Mohamed Bouazizi stood in front of the Town Hall in Side Bouzid. He’d had enough. He wasn’t the first, but when his petrol-covered clothes caught fire and he twisted in agony, it had historical consequences. Unlike previous suicide burnings, the media covered the incident exhaustively. Twitter had recently become a force to be reckoned with, and through social media and the internet, the story spread in a region where many recognised the hopelessness. As well as the corruption, the poverty, and the rising cost of living. The day after the burning, the union UGTT calls a meeting. Demonstrations are organised. Entrepreneurs, lawyers and ordinary people also react. Dictator Ben Ali’s response was sending police. Thousands of police. It was like pouring petrol on a fire. The protest grows over the following days. During the day, the middle class performs peaceful demonstrations, while youths fight with police at night. The uprising spreads. From city to city, country to country. The Arab world catches fire. Egypt, Morocco, Algeria, Libya, Syria, Yemen, Bahrain. For a while it looks like it’s going in the right direction, as if the whole region is about to be democratised. But soon, it stalls. In some countries, old despots are dethrones but replaced by new ones. In country after country, the uprisings are crushed. But not in Tunisia. For some reason, democracy gains ground here. The roadblocks are everywhere. But the police just wave the cars past, almost a bit apathetically. The police presence is palpable in the country that is full of jihadists. About 6,000 former IS warriors have returned home. A few weeks ago, a female suicide bomber blasted herself to death in central Tunis. About 20 people were injured. Democracy is frail here, hanging on by a thread. To the west lies the military state of Algeria and to the east the lawless Libya, while Saudi Arabia and Iran watch the entire region like two ancient birds of prey. Both claim to protect Islamic traditions. Democracy is not on their wish list. Nevertheless, women here walk around without headscarves. And last spring, the capital Tunis got its first female mayor. The government has a Jewish tourist minister and is currently discussing a proposal to introduce 10 days of paternity leave. When experts talk about the democratic exception, many look to the past. In ancient times, Carthage, now a suburb of the capital Tunis, was a trading city influenced by several Mediterranean cultures. Modern history, however, is characterised by the colonial heritage. In 1956, Tunisia became independent from France and the dream of a modern society grew. Polygamy was abolished, abortion became legal. Contraceptive pills were made available and several reforms were carried out that meant women could study and participate in political decision-making. Civil society was strengthened. Although the dictator Ben Ali was a strict ruler, critical voices were heard. Between the dictator’s iron fists, a fierce civil society grew. When the uprising started in 2010, the UGTT and employers’ organisation UTICA were some of the forces that took a stand for change, and in 2011 Ben Ali fled the country. The moderate Islamist party Ennahda won the subsequent election but voluntarily gave up its power in 2013 when discussions about the new constitution became too heated. A new centrist government was inaugurated in 2014, which then chose to invite the Islamic party into the government. The guiding star was consensus, instead of polarisation. It is a goal that has been retained. Tunisia is also the only country in which everyone – state, trade unions and employers – have joined the Global Deal and in 2015, the union and the employers together with a human rights group and a legal organisation received the Nobel Peace Prize. Politically, Tunisia is a success story. But everything in life is not about politics. Dusk is beginning to fall when Lazhar Gharbi opens the door to his office at UGTT. He directs us to a bare room and begins to put up the photographs of union leaders that were previously standing on the floor. He opens the window. Then hurries off to order some cups of tea. When he, a short time later, enjoys his cup of tea, his words are flowing. He’s not one for being interrupted. He speaks loudly and with flashes in his eyes. “All union people speak that loudly here,” the photographer whispers later. Lazhar Gharbi tells us how he was in the mosque the same day as Mohamed Bouazizi burned himself to death. They rushed out to the square where the whole city had gathered. Soon, the protests began. But it still didn’t turn out the way he had thought it would. He calls the Islamic party Ennahda fascists who are ruining democracy. At the back of the café next to the square where Mohamed Bouazizi set himself on fire, Issaouis Bilels sits in a red leather sofa and smokes. He never made it to Spain. Time is moving slowly. For three years, he has been unemployed. His brothers support the family. He knows many people here. He often gets coffee for free. Cigarettes too. He has a place here. “I want to leave for a better future but I want to know what I’m doing when I leave. I don’t just want to leave my family and everyone without having any idea of ​​what to do. That’s why I cancelled when my friend got a job in Cuba,” he says. He speaks softly. Brings to life the memory of his pool buddy. He remembers him from the vegetable market where he worked too. Mohamed Bouazizi may have been six years older than him but they sometimes caught up as people do in small towns. They both hung out in a place where they played pool and foosball. Issaouis Bilels says that back then he used to provoke the police. He smoked pot, drank and was growing a beard. “They thought I was a Salafist but I just wanted to show that I was entitled to have a beard if I wanted to,” he said. On December 17, 2010 he was sitting in a cafe. Like many others, he went to the square to see what had happened. He doesn’t believe that Mohammed wanted to kill himself. That the self-immolation was a mistake, perhaps it could at best be described as a symptom of wounded masculinity. Mohamed was upset that a police officer had hit him. There was nothing strange about it. The police were often in the square. Asked for documentation. Harassed. Demonstrated their power. But Mohamed was hit by a female police officer. It was humiliating. Being hit might have been the thing that tipped him over the edge in a society where prices were going up and hunger was a constant threat. He protested. Turned up at the town hall just behind the square. But they refused to see him. That’s when he poured the liquid over himself. Everyone was watching. 26-year-old Mohamed Bouazizi waited. Probably hoped someone would pay attention his protest. But all was quiet. The officials just watched. No one responded. He lit himself up. Witnesses said they stood still and watched him burn. A taxi driver ran out with a fire extinguisher, but by then it was too late. Mohamed had already set North Africa ablaze.